Hillsdale Furniture is taking traditional wood stools to the next level. The Sunhill swivel stool starts with sturdy, tapered legs. A durable Oyster Fabric seat is added next, followed by a unique weathered gray finish. Finally the back displays a substantial cris-cross motif that completes the look. 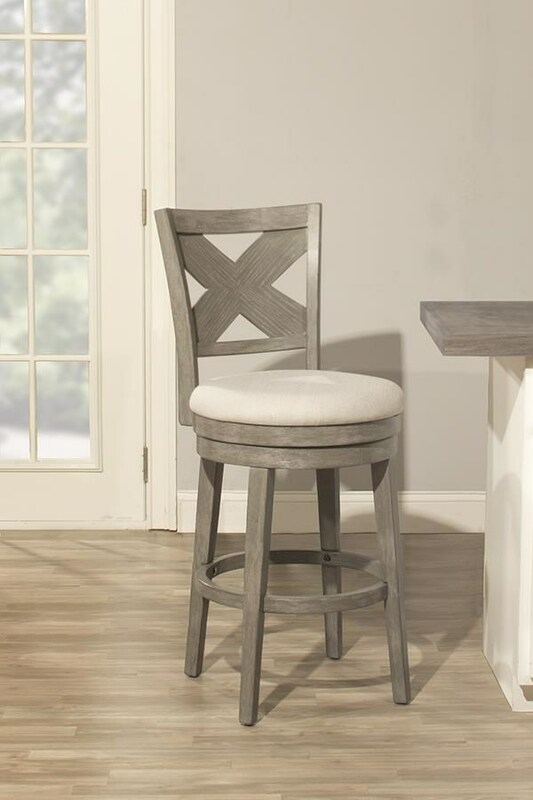 The Wood Stools Sunhill Gray 31 inch Bar Stool by Hillsdale at Great American Home Store in the Memphis, TN, Southaven, MS area. Product availability may vary. Contact us for the most current availability on this product. The Wood Stools collection is a great option if you are looking for Traditional Traditional furniture in the Memphis, TN, Southaven, MS area. Browse other items in the Wood Stools collection from Great American Home Store in the Memphis, TN, Southaven, MS area.